It seems that among parts of the population, geek is seen as an offensive term. Yet, not to those to whom the label applies. 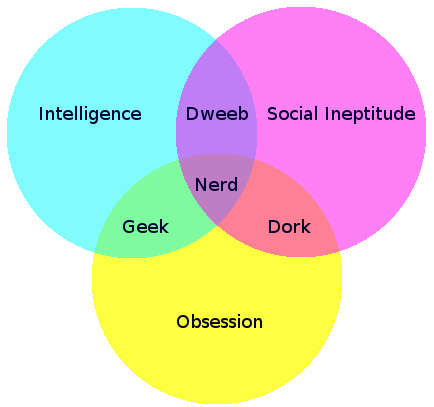 Though, looking at the venn diagram (found above), I can’t actually say that I am a geek when it comes to technology. I’m not obsessed with technology. I generally don’t like technology, I just know it.